Floyd Dent has settled his lawsuit with the City of Inkster for $1.4 million. However for Dent, who was beaten by Inkster police in a shocking attack caught on video earlier this year, becoming a millionaire is less important than improving police relations with the communities they are supposed to serve and protect. Dent says he hopes something good will come from the incident, a new beginning for Inkster. “The city of Inkster needs to move on and service the great citizens of Inkster,” he said. The Defenders broke the story, exposing video of police officers punching, kicking, and using a Taser on Dent after a traffic stop. The Defenders also uncovered a second video of police apparently imitating and mocking Dent at the police station instead of immediately him to a hospital for his injuries. “I’m bleeding and asking for a doctor and they are sitting there joking and high fiving. That’s unreal,” Dent said. After the video was revealed, prosecutors dropped assault and drug charges against Dent and instead filed charges against William Melendez, the now-former Inkster police officer who punched Dent 16 times in the head. Inkster also has a new police chief and two other officers were suspended. Now, with this a seven-figure settlement, Dent says a strong message has been sent about police brutality. “Nothing like this will ever happen in Inkster,” Dent said. Dent’s attorney Greg Rohl said the city stepped up to do the right thing for his client and for Inkster. Becoming a millionaire may bring friends and relatives out of the woodwork, but Dent said the money won’t change him. The settlement is not the end of this case. Dent still has to testify against Melendez in the criminal case. Dent said he will tell the truth and let the justice system take care of it from there. He also knows his time in the spotlight is coming to an end, which is fine with him. “I want people to remember me as an honest person that wasn’t afraid to go against the officers that done this to me and i want people to know that I’m grateful,” he said. 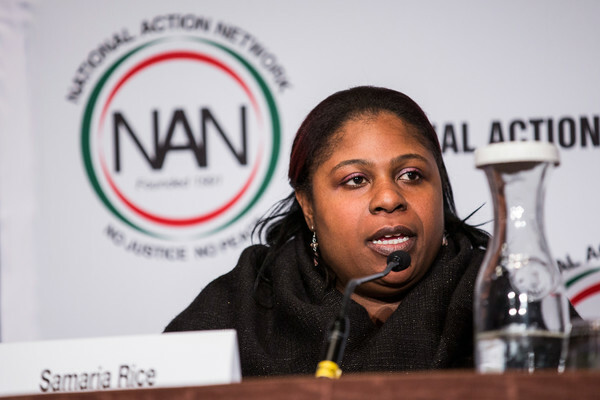 Five months after her son Tamir was killed by the police in Cleveland, Samaria Rice moved herself into a homeless shelter, unable to stay near the spot where her son was playing with a toy gun one minute, and lay dead the next. Due to delays in the criminal investigation, Rice continues to accrue additional legal expenses, which a GoFundMe campaign hopes to offset. The police officers involved in the case have requested that the family put off its federal civil rights lawsuit . The officers are concerned their testimonies in the federal investigation may self-incriminate them in the criminal case, the New Republic reported. Tamir’s relatives, however, have protested that request saying that delaying the lawsuit will cause their legal costs to surge and exacerbate their emotional pain, according to the Associated Press. Tamir still has not been buried because the family is concerned that additional medical examinations could be required, according to the court motion.